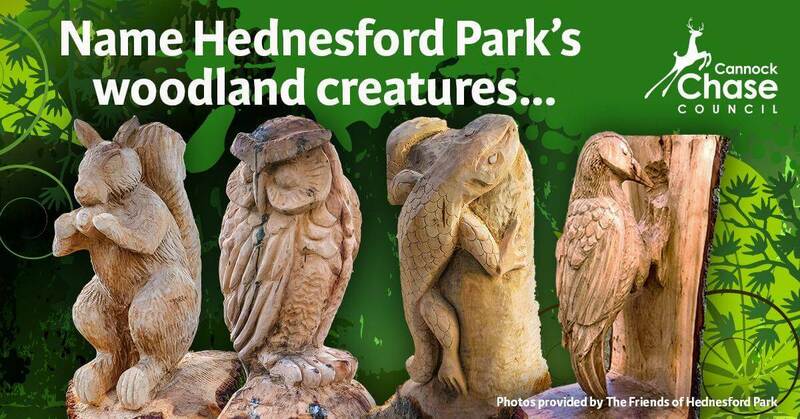 Cannock Chase Council is encouraging all park users to enter its latest competition to name the new woodland sculptures in Hednesford Park. In November 2016, essential tree works were carried out on the tree avenue where sixteen large, mature trees were felled. 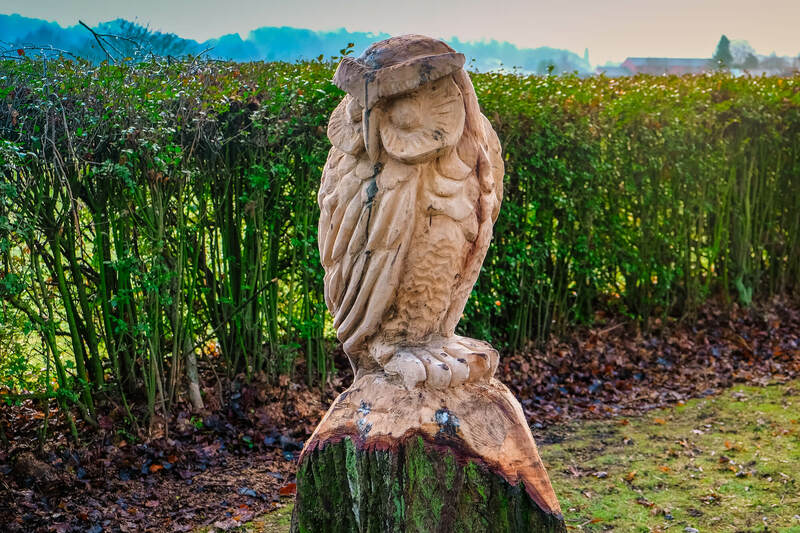 Some of these felled trees have been used and turned into stunning art pieces. Robot Cossey is well known for his timber sculptural works completed the sculptures last month. These now take pride of place in the park and include an owl, a lizard, a squirrel and a woodpecker. Park users are now being asked to name the sculptures and give the reason or inspiration behind their suggested name. Due to the positive feedback received, the Council is considering to create more sculptures in the future. Park users have now got the opportunity to let the Council know what other woodland or park creatures they would like to see in the park by entering this competition. If you would like to take part in this competition you can complete an online entry form by visiting www.cannockchasedc.gov.uk/hednesfordpark. All entries need to be submitted by Sunday 23 April 2017. For further information about this competition and the developments in Hednesford Park, contact Lynn Evans on 07855099353.